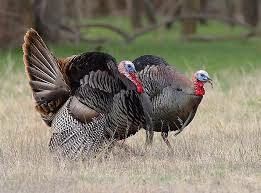 What & Where: Youth only turkey/hog hunt at Peeler Ranch near Tilden, Texas. Registration is open to boys from all CTO chapters. Who can participate: This outing is open to young men ages 7-20, both members and non-members. Kids must be registered to attend. Pickup and dropoff available from George West and San Antonio. Questions about the outing? Contact Michael Krietsch at 361-492-9502 or email mkrietsch@teamcto.org. 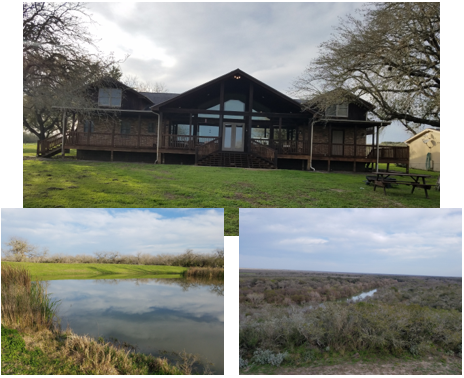 What & Where: Youth only turkey/hog hunt at Diamond B Ranch near Freer, Texas. Registration is open to boys from all CTO chapters. Who can participate: This outing is open to young men ages 7-20, both members and non-members. Kids must be registered to attend. Pick up and drop off points in San Antonio or near the ranch. We will be meeting at the Potts home in San Antonio for departure and pickup. Location: Cantina Ranch George West, TX. This is a new camp location for CTO located just south of George West and is on the Nueces River. This first camp session is for young men ages 10-13, and is a great camp for new CTO campers! This camp will focus on hunting, and the entry level animal (included in the fee) is the opportunity to harvest a hog. We will also have bowfishing and lake fishing. In addition to hunting we will have skills training for sporting clays, marksmanship, and archery; and kids will have an opportunity to fish, swim, and canoe. Participants may upgrade to an exotic animal from neighboring ranches. Those prices will be available to campers as the camp date moves closer. Parents will be asked to bring kids to the ranch to drop off (carpools may be available) on Sunday after lunch. On Saturday, we ask parents/guardians to pick up kids around noon for a family celebration with lunch and a presentation. The nearest airport to this camp is in San Antonio. If your child needs airport transportation, contact Kim Potts at 210-380-7125 to make travel arrangements before booking tickets. We have financial aid available and never turn a child away due to financial limitations. If you need financial assistance, please go ahead and complete the registration for your child and select the "Need financial assistance" option. We have a variety of ways to help pay for camp, many kids are able to raise funds by selling CTO Summer Camp raffle tickets (these tickets are $10 each and buyers get to choose from three prizes), and 100% of money raised goes towards your child's camp tuition. If you would like to sell raffle tickets, need financial assistance or need to make payment arrangements, please contact Kim Potts at 210-380-7125. This is a new camp location for CTO located just south of George West and is on the Nueces River. This first camp session is for young men ages 13-16, and is a great camp for new CTO campers! This camp will focus on hunting, and the entry level animal (included in the fee) is the opportunity to harvest a hog. We will also have bowfishing and lake fishing. In addition to hunting we will have skills training for sporting clays, marksmanship, and archery; and kids will have an opportunity to fish, swim, and canoe.